It is official and it is happening tonight and in London as CNN hero, Global Child Rights hero, Ashoka Fellow and multi global award winner Betty Makoni presents her newly published book to top Executive of the most innovative and highly respected organisation that awards outstanding Zimbabweans. Girl Child Network Worldwide amongst Zimbabwe Achievers Awards (ZAA) chosen charities and Betty Makoni has been invited to make a short presentation on how her charity helps girls in Zimbabwe and Africa. During the 2012 launch of Zimbabwe Achievers Awards, Betty Makoni will officially present her newly published book, A woman, Once a girl -Breaking Silence to ZAA. The book is a compilation of short poetic stories on her experiences helping girls in Zimbabwe. Meanwhile, Zimbabwe Achievers Awards (ZAA) Chief Executive Officer, Conrad Mwanza announced that Girl Child Network Worldwide, African Baobab Foundation, Rozaria Memorial Trust and Vimba are amongst some charities they have chosen to support for 2012. Vanessa Hobson will be coordinating all the charities ZAA is supporting this year. A raffle has been organised with proceeds going to charities during the launch of the awards on 25 March 2012. In addition Vanessa will also work with the charities on going forward on fundraising initiatives, memorabilia, auctions and awareness campaigns on various issues. 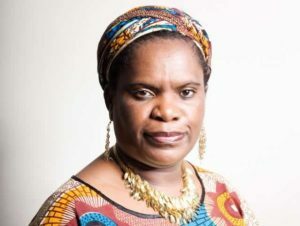 On 25 March 2012 representatives of the charities including Betty Makoni have been invited to speak on their work.